Deputy Mayor for the City of Syracuse to address Class of 2018. 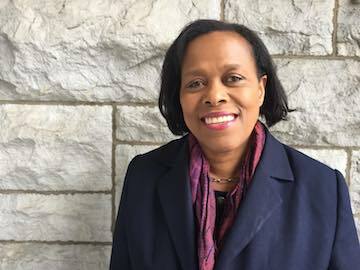 Members of the Cazenovia College community are pleased to announce that Sharon Owens—newly appointed Deputy Mayor of the City of Syracuse under Mayor Ben Walsh—will serve as the speaker for the College's 193rd Commencement. Owens has worked for more than 30 years in the fields of housing, community development, human services, and government. In her current position of Deputy Mayor, Owens oversees city programs and services that address quality of life in our community, including Neighborhood and Business Development and Parks and Recreation, as well as the Police and Fire Departments. Owens also serves as chief of staff to the Mayor. Prior to this appointment, Owens served as the third CEO of Syracuse Model Neighborhood Facility, Inc., where she secured expanded services that infused human service provision with community revitalization initiatives to further serve an increasingly needing community. She previously worked for the City of Syracuse as Deputy Commissioner of Neighborhood and Business Development from 2010 to 2013 during the Miner Administration. In this role, Owens administered the city’s Community Development Block Grant funding to foster the revitalization of neighborhoods and the creation of job opportunities through housing, community development, and economic development efforts. She also managed Section 3 and Minority/Women-Owned Business participation in funded projects. Owens also has extensive experience in the nonprofit sector. She served as Deputy Director of Housing for Home HeadQuarters, Inc. and Jubilee Homes of Syracuse. In both positions, she was responsible for program development, grant writing, and supervision of staff. She developed relationships with many families throughout Syracuse and was able to assist them in strengthening their community through affordable housing programs. Owens also worked at People's Equal Action and Community Effort, Inc. (PEACE) as the Early Head Start Family and Community Coordinator and the Youth Services Component Director. Her involvement reaches to the boardroom as well. She currently serves on the Executive Committee of the Greater Syracuse HOPE Initiative, the Consensus Commission on Local Government Modernization, and the I-81 Community Stakeholder Committee. In 2015, Owens received "The Kathy" Award from the Gifford Foundation, which recognized her commitment to establishing sound community-impacting advocacy for community residents and their families. Owens is a graduate of Syracuse University. She has been married to Shaun Owens for 27 years, and has two children—Simone and Isaac.